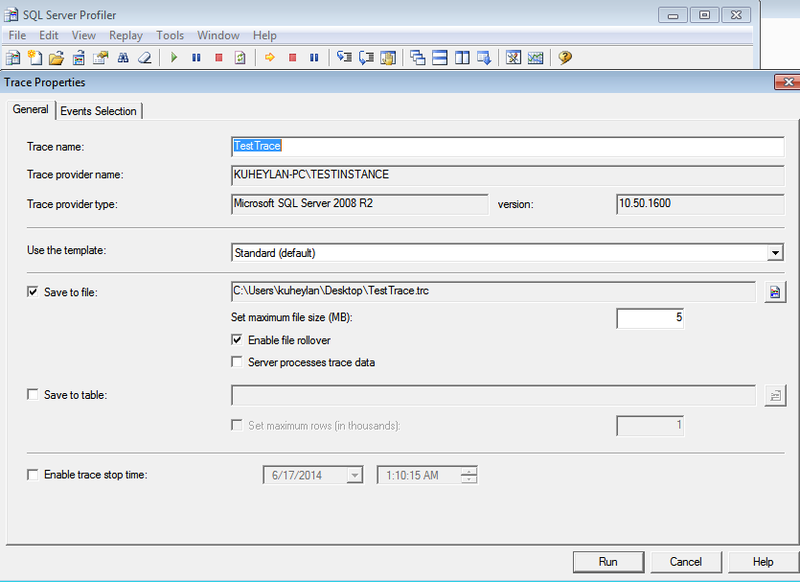 SQL Server Profiler toolu kullanılarak sorun anında sorunun ne olduğunu tespit edebiliriz. Profiler toolu ile aşağıdaki durumlar tespit edilebilir. 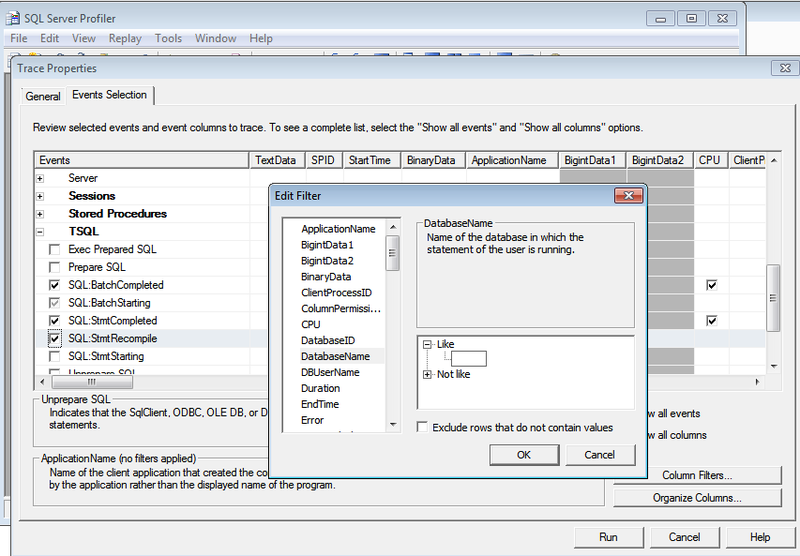 SQL Server Profiler aşağıdaki gibi çalıştırılıp analiz işlemi başlatabiliriz. Adam mechanic tarafından yazılan ve ücretsiz olarak kullanılabilen sp_whois_active stored procedure ü veritabanında anlık çalışan sessionları ve çalıştırdıkları sql ler hakkında bilgileri verir. 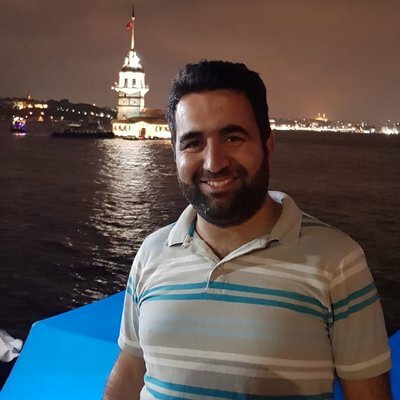 Sp_whois_active sp sini veritabanında manuel oluşturduktan sonra aşağıdaki gibi çalıştırabilirsiniz. --Retrieve data about the calling session? --Retrieve data about system sessions? --allowed, as long as the list contains exact matches of delimited valid column names. --Column(s) by which to sort output, optionally with sort directions. --or that it has the correct schema, before doing the insert. --<table_name> in place of an actual table name. --Help! What do I do? How much time has the active portion of the query taken in the past, on average? Difference between the number of physical I/Os reported on the first and second collections. Difference between the number of reads reported on the first and second collections. Difference between the number of physical reads reported on the first and second collections. Difference between the number of writes reported on the first and second collections. Difference between the number of TempDB writes reported on the first and second collections. Difference between the CPU time reported on the first and second collections. times, in milliseconds. If only one thread is waiting, its wait time will be shown as B.
tasks are waiting, the minimum, average, and maximum wait times will be shown (B/C/D). the page type will be identified. Aggregates lock information, in XML format. The lock XML includes the lock mode, locked object, and aggregates the number of requests. for sleeping sessions, if available in either case. If @get_full_inner_text option is set, shows the full text of the batch. Otherwise, shows only the active statement within the batch. 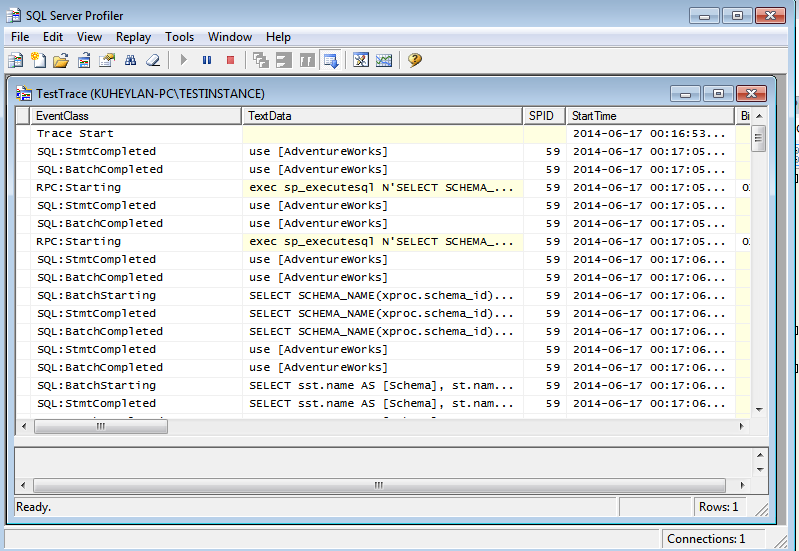 Shows the query plan for the request, if available. all the way down the blocking chain.